The March theme on Sophistique Noir is purple. This should be an easy theme for me because purple is my favorite color. 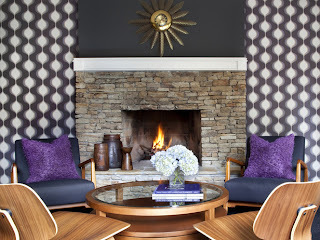 As I did one year ago for the March 2012 theme of gray, I decided to talk about purple as a home decor color. Alas, this turned out to be rather difficult. or contemporary, sleek, mod styles. When purple is used in more formal or traditional styles, it often plays a relatively small supporting role. Or sometimes it's mixed with gold and becomes a gaudy masterpiece of someone's luxury estate. 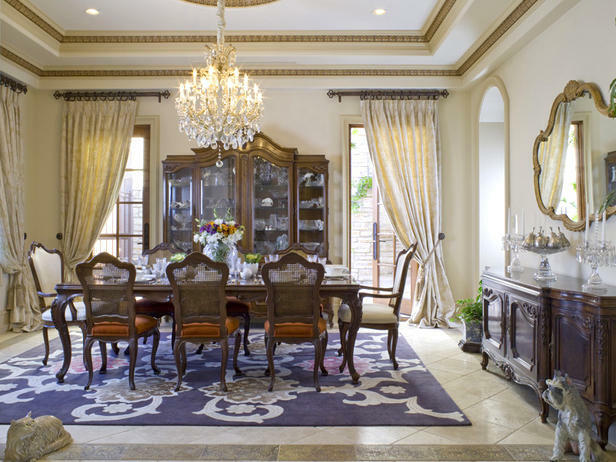 I rarely see traditional, Victorian or Old World style rooms that are truly purple (not a room with a purple rug or a room with a purple pillow, but a purple room). 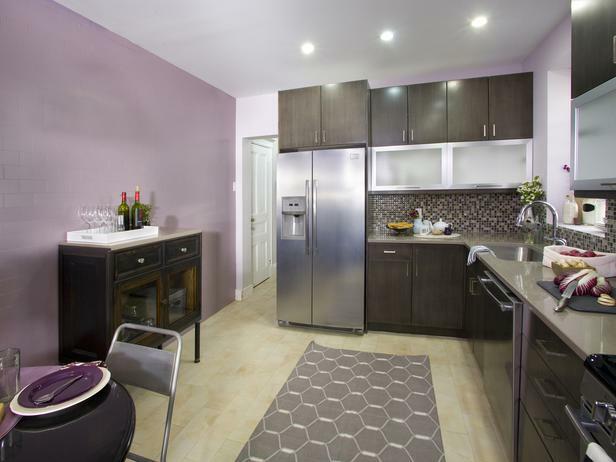 Maybe it's because people are wary of using purple in home decor. 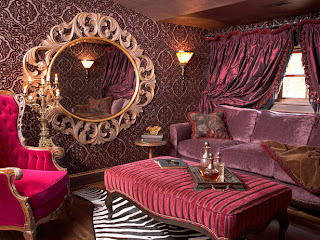 Why not a purple Old World style living room? Am I on to a fresh new idea... or do I just have the worst taste ever? Oh Bane, I need to take a photo of a purple room at the Metropolitan Museum (if they let me) for you! It's a gorgeous purple, period room -- I believe it's French rococo without all the gold. Maybe it's English? The detailing is all done in white and some butter yellows and it's absolutely breathtaking! Sounds intriguing! I like the lines of rococo but I'm usually put off by the heavy use of gold. It all depends on where the Rococo ends up. Usually in France it's all about the gold. But when Rococo meets German or English design the gold gets dumped for a more austere, but whimsical, naturalism. 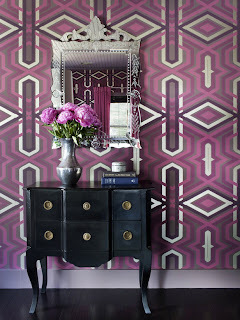 Of course, we could just be crazy-- purple lovers tend to be known for their esoteric tastes! Hehe. Ah, to live in a home decorated like the last 3 photos... I would chose a purple on the more blue side like the ones in the first of those three photos(the chair cushions, really)-- to encompass an even darker tone! I prefer the bluer purples as well. Did you see these? Some are really pretty cool! Oh, I SO need to post more pics of my house! I did a post about my living room once, for one of Le Professeur's homework assignments. 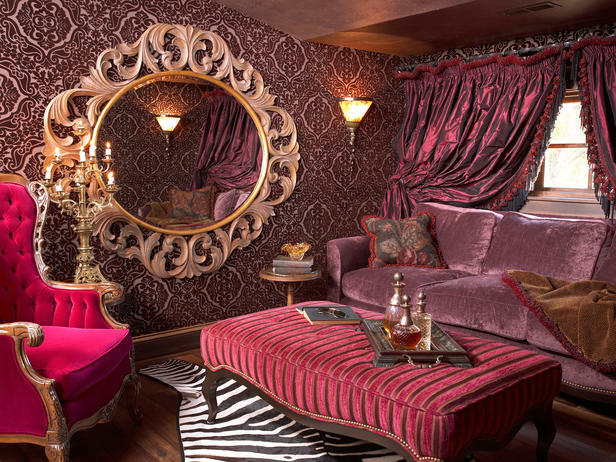 The walls are ALL PURPLE, the curtains are eggplant and the furniture is leaning toward Victorian. I think we may just be crazy, because "normal" people tend to find our living room decor a bit strange. These pics are before the crown molding... I need to do an update! I'm so glad you brought the home decor element into this month's theme! 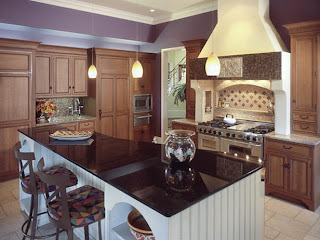 I think your livingroom is beautiful and the walls has the perfect purple colour. Your living room is gorgeous. I'd love to see more pics of your house. Awesome! 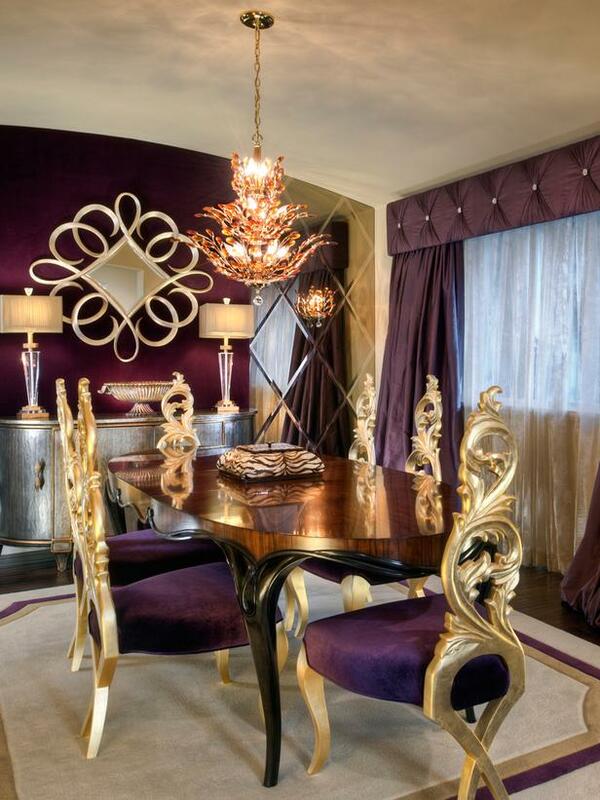 I especially like the various purple velvet chairs. Purple and gold look stunning together, so lively, and regal...I love it, really. They are very complementary colors. The last 4 are exactly what I want for my house one day! I love the purple and the burgundy! 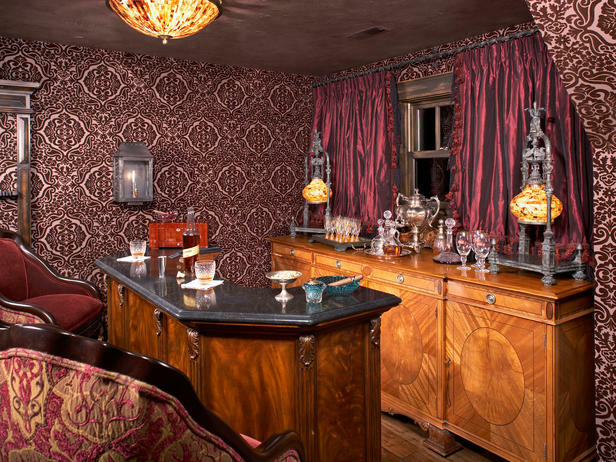 The flocked wallpaper in the last two photos amazes me. Oh, I just remembered, the house had PURPLE WALLS in The Woman in Black! I loved that house! Woman in black in a house in purple... now that sounds great! Ha ha! The chairs have a great ornate shape. I'd love to see them in purple and black. I definitely think my dream décor would have to have purple and gold. Oh and flowers, perhaps in the vein of Pre Raphaelite paintings. I'll probably go with lavender in my bathroom. :) It's small and needs a light color. I love the dusty purples. They are perfect for bringing in purple in a soft way. 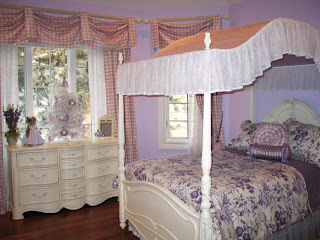 I had a whole purple room when I was in high school. 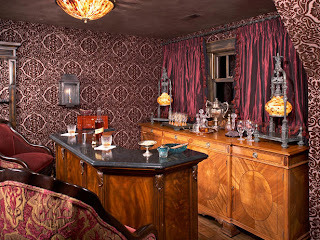 It was kind of victorian bohemian. I wish I had a photo I could show you. I always meant to paint the walls purple too but never had a chance.